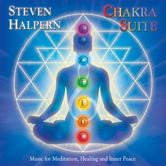 Sting’s “Fragile” begins the CD, and Skaroulis has really made this song his own. Accompanied on Flamenco guitar by Jean Pierre, the gentle rhythms and repartee between the piano and guitar set a lovely mood for the album as a whole. 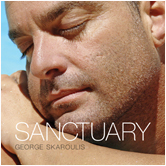 I have been a big fan of George Skaroulis and his music for several years now and have loved all of his thirteen previous releases, but I think this is his best CD yet. 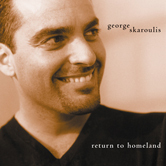 George Skaroulis began his love affair with the piano at the young and tender age of five. His mother was a classically trained pianist and George would sit on the bench next to her to watch and listen. One day, he started playing along. It wasn’t too long before George was figuring out the melodies of songs he heard on the radio. At the age of 10, his parents encouraged piano lessons, but in five weeks George quit the lessons after his teacher discovered he was playing by ear. Uninterested with structure & theory, George wanted to play the piano his way. 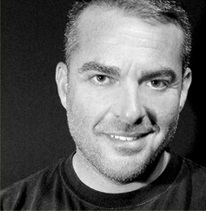 As a teenager, George began a career in the restaurant industry, and spent over 20 years in the business. Time at the piano was often his private escape. George never dreamed of pursuing his love of music as a career, but over the years, the piano kept calling him back. To this day George doesn’t read music, and without those formal boundaries, he continues to create music in his own peaceful romantic style. George’s music undoubtedly has a calming effect on those who listen, even animals (George’s music has been chosen as the official music of the Atlanta Humane Society). 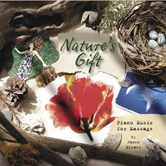 It is no surprise this relaxing quality has attracted spa professionals and massage therapists worldwide. 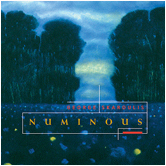 Skaroulis is a member of the National Academy of Recording Arts & Sciences (NARAS), and a member of the American Society of Composers Authors and Publishers (ASCAP).